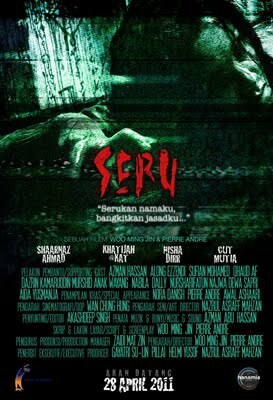 Synopsis: “Seru” follows a production team in the midst of shooting when many strange things start to take place, affecting the crewmembers until eventually someone is murdered. When assistant director (Sari) gets hysterical and makeup artiste Julia collapses, things start to get haywire. Not long after, Julia disappears into the forest and the rest head out to find her. As the crewmembers get taken out one at a time by a vengeful entity, the reason behind the whole event is uncovered.